Speciality California-based catastrophe exposed property insurer Palomar Insurance Holdings has raised its target for an impending Nasdaq initial public offering (IPO), hoping to raise as much as $110 million at the top-end of its share price estimates. Palomar Insurance Holdings had been targeting an IPO capital raise of around $50 million, to fund further growth and to repay debt it had issued and that was invested in by two insurance-linked securities and investments specialists. Palomar ambitions to expand as a provider of insurance to areas of the market that it feels are underserved, leveraging reinsurance and ILS capital to support its underwriting of catastrophe exposed property risks. With a particular focus on the flood, wind and earthquake insurance markets, Palomar operates in areas where significant reinsurance support is required to operate sustainably. Palomar hadn’t yet set the offering price for the IPO when we wrote about it the other week, as the firm was still testing investor appetite for its stock. Now the company has updated its offering, saying that it will look to sell 5,625,000 shares of its common stock at an estimated initial public offering price per share of between $15.00 and $17.00. Including an allotment of shares for the underwriters of the IPO, the total shares of common stock offered will amount to 6,468,750, which even at the low-end of its estimates ($15/share) should raise $97 million, while at the top-end ($17/share) it could raise as much as almost $110 million from the IPO. That would give Palomar a significant war chest to put to work in expanding its business, as well as plenty of capital to repay the $20 million of debt that ILS specialists Fermat Capital Management and investor Cohen & Company had helped it to recently. Palomar is a sophisticated user of reinsurance capital to help it write more catastrophe exposed business, with 80 markets and ILS investors backing its reinsurance tower, across traditional reinsurance, ILS and quota shares. 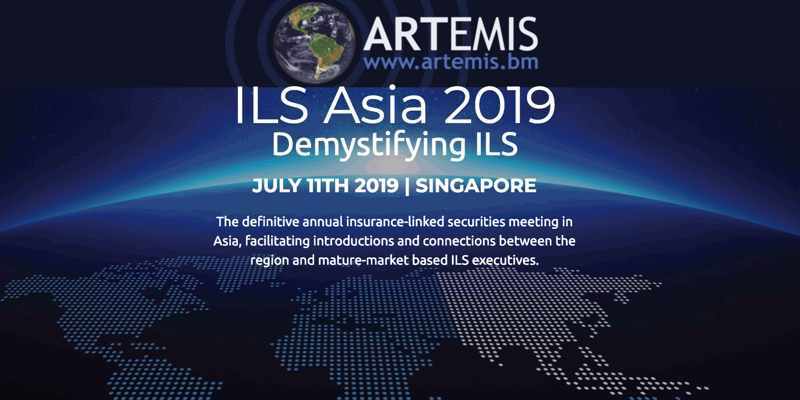 The firm had also issued a catastrophe bond back in 2017, the $166 million Torrey Pines Re Ltd. (Series 2017-1), and also leverages other ILS fund capacity in its reinsurance tower. As Palomar continues its growth, helped by the funding to come from its IPO, the firms use of reinsurance and ILS will also likely expand, with the catastrophe bond market and its investors a possible beneficiary.